A Harvard study found that worldwide, it wasn’t a couple of million people or several million people with inadequate levels of the crucial vitamin in their systems, but a billion (with a B) people. This is true in all ethnicities and in all age groups. Indeed, economic status doesn’t improve your odds, as doctors in industrialized countries are seeing a rise in cases of rickets! So, you have to go outside, daily. But how much is enough? The answer might surprise you because it’s not a lot. Dr. Michael Holick, a professor of medicine at Boston University, says all you need is 10 to 15 minutes of unprotected sun exposure to your arms, legs, abdomen and back. After that, use a 30-SPF or higher sunblock if you want to stay out longer. This minimizes the risk of skin cancer, while allowing your body to get the vitamins it needs. Focus on protecting the top of your ears and face because those are the places that tend to get the most sun damage. The time of day is also important in getting enough Vitamin D. A good rule of thumb is if your shadow is longer than your body height, you aren’t going to be making enough Vitamin D. The optimal times are between 10am and 3pm. That’s not to say being outdoors outside that limit restriction is wasted, but there are better times if your goal is to get the proper daily allowance. A common trait in children with type I diabetes is that they are more likely to be Vitamin D deficient than children who don’t have diabetes. We know this because in Finland, they lowered the recommended requirement of Vitamin D supplementation by a factor of 10 in the early 90s. This caused a spike of diabetes in children of all ages, 350% in those 1-4 years of age, 100% in those 5-9 years old and 50% in those 10-14 years old. Not only are there more cases of MS in places farther from the equator, where sunlight is rarer, but people already with MS see more cases of relapse in those same areas. There’s a causal relationship due to outside factors of Lupus sufferers. Lupus causes photo sensitivity, which lead to rashes when exposed to sunlight. This makes people want to (understandably) avoid spending time in the sun. QED, lack of sunlight exposure leads to Vitamin D deficiency. Like with MS, you have an increased chance of getting RA when you have low levels of Vitamin D. Indeed, people with the highest Vitamin D levels decreased the risk of developing this form of arthritis by 24.2%! Not only were the people with the highest levels of Vitamin D less likely to develop RA, but the converse is true too. When there isn’t enough, you are even more at risk for RA! Both hyperthyroidism and hypothyroidism are linked to low levels of Vitamin D. Study after study, shows that people with autoimmune thyroid disease are more likely to also be Vitamin D deficient. People in the control group, who do not have any form of thyroid disease, are not Vitamin D deficient. The conclusion each of these studies came to was that such a deficiency is one of the causal links to thyroid disease. Speaking of thyroid disease, similarly just like how a lower functioning thyroid can cause depression, so does a low level of Vitamin D. However, it’s really only since the beginning of this year, 2018, that research into the link between the two have been looked at. Our brains as a whole is still a big mystery. Antidepressant medication work by increasing monoamines in our brains. One of the monoamines is serotonin, which we also get more of on sunny days than on cloudy days. It’s thought that the anti-inflammatory effects Vitamin D has may be beneficial to people with cardiovascular disease. Everything from high blood pressure to coronary heart disease to stroke all have links to low levels of Vitamin D in the patient’s system. One review of over 6,400 people found patients with peripheral arterial disease (PAD) also had low levels of Vitamin D. It could be a coincidence. More study is needed, but the current data is compelling. The downside to spending more time in the sun is the risk of getting skin cancer, but this might be a damned if you do, damned if you don’t situation. However, current research suggests that the protective effect of Vitamin D has on other cancers, like colon, breast and prostate cancer, might be worth the risk! As far back as 1941, we’ve had studies that show an inverse correlation between higher levels of UV-B radiation (spending time in the sun) and mortality rates from various cancers. The optimal situation would be to protect yourself from skin cancer with a good sunscreen, but still spend enough time outdoors. Protecting yourself from one cancer may be putting you in danger of others. The above list is just the high points of what can happen to people with low levels of Vitamin D. Having the right level has been linked to other areas like: improvements in kidney functions and erectile dysfunction. Also, bipolar patients find that the right amount of Vitamin D can decrease bouts of mania. And there are current studies into the link between not enough Vitamin D and an increase in the prevalence of asthma, allergies, autism, preterm birth, gestational diabetes and preeclampsia. So, what do you say? 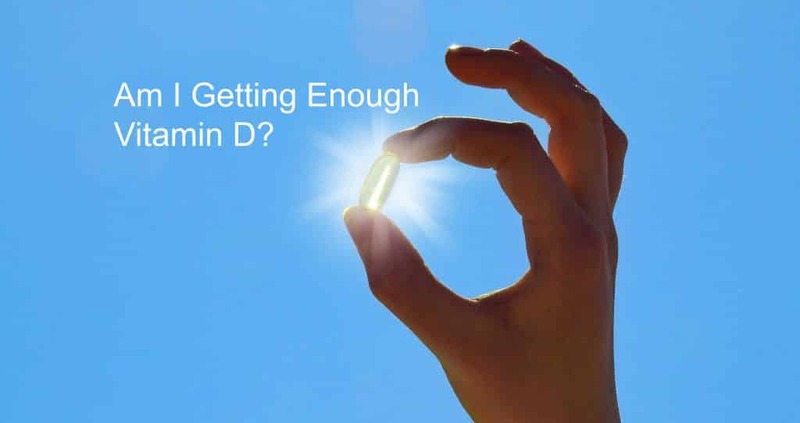 Are you ready to make sure your Vitamin D levels are where they’re supposed to be? Get tested here and find out!